Integrating Prott with Slack is a helpful way to keep track of the updates that are going on in your project. Head over to https://slack.com/apps and click on Manage. From the left hand side, click on where it says, Custom Integrations and click on Incoming WebHooks. Click the Add Configuration button. Enter the channel name you would like to see your Prott activity posted to. 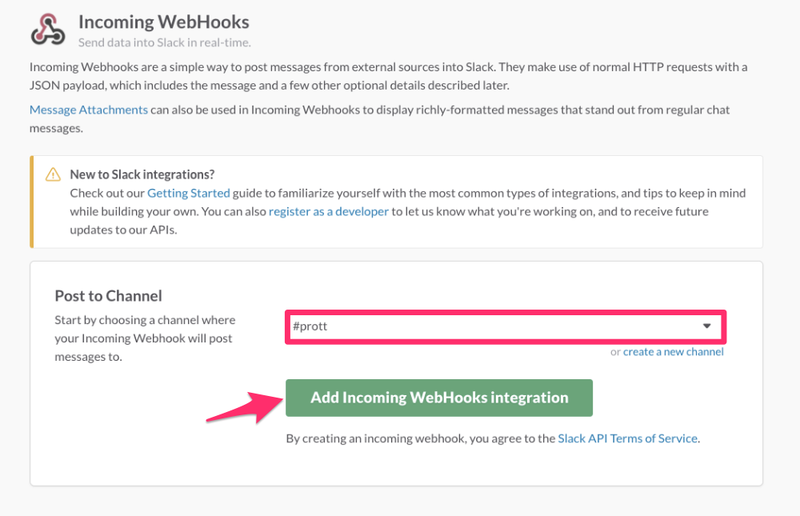 Then click on Add Incoming WebHooks integration. Copy the Webhook URL (Make sure to save this Webhook URL as you will need to add it to your project General settings) later on. Next click the Save Settings button. Once you have saved your settings, login to your Prott account and head to the General settings icon and enter your Webhook URL, Channel and hit Save. You will now be able to see the updates made in your Slack channel!